It’s estimated that over 20 million Americans have a thyroid disease/disorder, and it’s more common in women than men. If you’ve been diagnosed with hypothyroidism (low thyroid function), listen up: did you know there is a greater than 90 percent chance that you actually have an autoimmune thyroid condition called Hashimoto’s thyroiditis that is causing your thyroid to slow down? It’s treated much differently than primary hypothyroidism conditions because the immune system component must be addressed as well as the underfunctioning thyroid gland. There are several different causes of hypothyroidism, depending on which gland is affecting the thyroid function (it could be the thyroid itself or the pituitary or hypothalamus, for example), but autoimmune thyroiditis, where the body actually produces antibodies to attack its own thyroid tissue, is by far the most common and unfortunately becoming more common due to stress, our Standard American Diet, and the toxic nature of our environment. Hashimoto’s can be easily diagnosed with lab work to check if your body is producing antibodies that are attacking thyroid tissue. Jane Doe has been diagnosed hypothyroid by her physician. She’s gained a lot of weight; she has really heavy periods; she’s constipated; and even worse, her hair is falling out. Typically she is sent on her way with a prescription for Synthroid, but occasionally the doctor will test her antibody levels for Hashimoto’s. Jane’s antibodies are in the thousands, which means she is positive for Hashimoto’s, and because her antibodies are so high, her thyroid is under major attack. 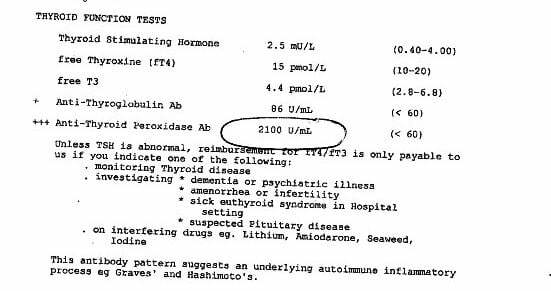 Jane Doe might be sent to an endocrinologist who tells her that there is no additional treatment for Hashimoto’s except for a few drugs that might lower her antibodies and therefore lessen the attack on her thyroid. So Jane Doe must visit her endocrinologist every few months to get her thyroid levels tested, and they’re all over the map, making it hard to nail down her dosage. All the while, Jane hasn’t been feeling any better, even after taking meds. Side Note: you can test your thyroid hormones and antibodies without a doctor via this lab. The kit comes to your house, and the link gets you 15 percent off the test kits. Jane starts to do some research and comes across an article on Hashimoto’s. She learns that the disease is not the fault of her thyroid, but rather her immune system is overactive and has starting misfiring and attacking her thyroid tissue. 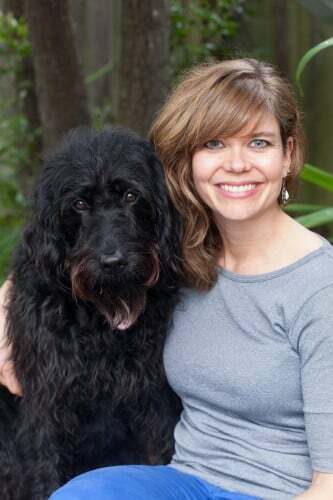 Jane wonders why her endocrinologist hasn’t mentioned anything about her immune system and how that is the root of her autoimmune thyroid problem. And this is how women end up in my office, after struggling with conventional treatments and not feeling better. Usually they are feeling even worse by the time they finally seek out a functional medicine practitioner. Our conventional health model has no specific treatment for Hashi’s, so it’s treated just like regular hypothyroid conditions (same drugs prescribed), and because the autoimmune issue isn’t addressed, the body continues to attack thyroid tissue, resulting in extensive tissue death. Or, an immune suppressant is prescribed to calm the overactive immune system, and this can have bad side effects (ranging from digestive disorders to multiple sclerosis). 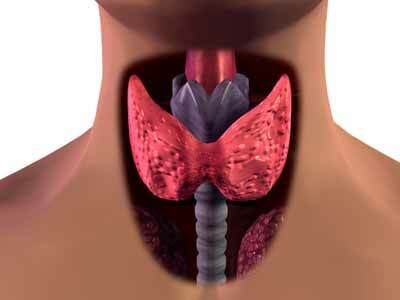 Click here to read my post on primary hypothyroidism. Typically, your doctor may first identify hypothyroidism via high TSH (thyroid stimulating hormone), which will show up out of range on the high side, over 4.5uIU/ml, when you go in for blood work. There are actually many problems with this type of diagnosis, because you can still be in this “normal” range and have Hashi’s that goes undiagnosed. In fact, ideal TSH is around 1.0 – 2.0; anything above may signal a problem, and immune flare-ups can cause TSH to be all over the map. If you exhibit the above hypothyroid symptoms yet your TSH is normal, press your doctor to test further. You need to test free T3, free T4, and a test for thyroid peroxidase antibodies (TPO) is necessary. Remember that elevated TPO levels indicate the body is attacking thyroid tissue. Or, if you’ve been diagnosed with hypothyroidism and treated with thyroid drugs (like synthroid/levothyroxine) but your symptoms don’t improve or worsen, ask your doctor to test for TPO antibodies to see if the autoimmune component is driving your hypothyroidism. Hashi’s is an autoimmune disorder before it’s a thyroid disease. 1)There are a number of ways to manage Hashi’s through diet alone. Number one, AVOID GLUTEN LIKE THE PLAGUE. Numerous studies show a strong link between gluten intolerance and Hashi’s and all autoimmune disease. The molecular structure of gluten protein, as it’s broken down, resembles that of the thyroid gland. If you are gluten intolerant or have leaky gut syndrome, your body produces antibodies to tag gluten proteins for removal–and because the thyroid gland structure is so similar, thyroid tissue is tagged and attacked too in a case of mistaken identity. According to Dr. Kharrazian’s book Why Do I Still Have Thyroid Symptoms When My Lab Tests Are Normal, 81 percent of Americans are genetically predisposed to gluten intolerance and 35 percent are gluten intolerant. 2)In addition to gluten, avoid other foods to which you are sensitive. This is especially important with autoimmune disease because you want to calm down any immune reaction in the gut, and eating foods you react to stimulates the immune system. You may find food allergy testing helpful in this case. (this link will take you to my preferred food allergy test for 96 foods). Symptoms of food sensitivities include joint pain, skin breakouts, bloating, gas, fatigue (especially after meals), congestion, irregular menstrual cycles, to name a few. 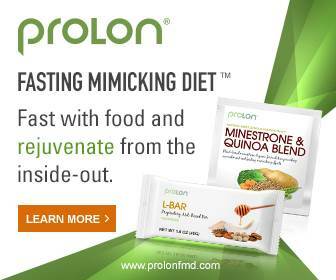 If your antibodies are in the high hundreds or thousands, you may want to consider an autoimmune paleo protocol which excludes the foods high in anti-nutrients that exacerbate autoimmune conditions: dairy, soy, eggs, nuts, grains, legumes, and nightshades.. These foods can irritate the gut lining and contribute to immune overactivity. Because the majority of the immune system is in the gut, intestinal inflammation that’s worsened by certain foods results in continual immune system stimulation that eventually causes the immune system to go rogue and begin attacking body tissue. This is why diet is so important; it’s the main way you can control inflammation. 3)Increase vitamin D rich foods such as salmon and liver to normalize D levels. Get outside and spend time in the sunshine! 4)Focus on organic proteins (wild fish, eggs if you tolerate them, grass fed beef/lamb/bison, organic poultry, nutrient rich organ meats), fats such as ghee and coconut oil, and lots of veggies of all kinds. 5)Avoid conventional meats (non organic, CAFO) and fish because the hormones and toxins present in the meat contribute to estrogen dominance, which adversely affects thyroid hormone function. 6)Avoid soy. Soy can suppress thyroid function and cause estrogen dominance that can affect thyroid hormones. 7)Avoid raw cruciferous: they have goitrogenic properties, which suppress thyroid function. Cooking deactivates the goitgrogens. 8)Use virgin unrefined coconut oil as your main cooking oil. It’s great for thyroid health. Click here to read my post on coconut oil. 9)Avoid all processed vegetable oils (canola, soy/corn/cottonseed, grapeseed, safflower, sunflower, etc) and stick to butter, coconut oil, olive oil, and animal fats. 10)IODINE may worsen autoimmune conditions unless it is balanced with selenium, in which case it can be beneficial for Hashimoto’s, but it depends on the person. 11)Probiotic-rich foods like raw kraut, kvass (fermented drink), or kefir. I recommend this coconut water kefir. It’s dairy free. You only need an ounce per day. Fermented foods are excellent for gut health. The majority of your immune system is in your gut, so focusing on gut health is important (and often the first place to start). 12) Make mineral-rich bone broth for gut health. 13)Last but certainly not least, I recommend GI MAP stool testing absolutely for every autoimmune client. It has autoimmune and viral markers that help you determine what’s driving your autoimmune condition. The majority of your immune system is in your gut, so repairing it is often the best place to start to calm down autoimmune disease. See also: my post on how to reverse autoimmune disease. Work with a practitioner to determine what’s right for you. Thyroid supportive nutrients such as selenuim, zinc, and B vitamins. See my post on thyroid healing foods. Probiotics to promote healthy gut flora and combat constipation. Magnesium may help, too. One ounce of this water kefir daily is a great start. Vitamin D is critical for immune health! Most people are deficient. Glutathione, on the the most potent antioxidants produced in the body by the liver, can help regulate your immune system and support the liver’s role in thyroid hormone conversion and regulation. Finally, certain immune system regulators like monolaurin may help balance the immune system. Address adrenal health, which is critical for healthy thyroid function. If cortisol is too high or low, it affects the thyroid. Saliva testing can assess cortisol levels. Address stress: meditation or deep breathing or yoga. Or even gardening, whatever works for you. Understand that healthy lifestyle factors are the most important part of healing. Balance blood sugar. High or low blood sugar stresses the thyroid, which impacts adrenal health. Eat in regular intervals to combat hypoglycemia, and avoid refined sugars! Get good sleep. Take a 20 minute nap in the afternoon if need be. Click here for my post on how to sleep better. 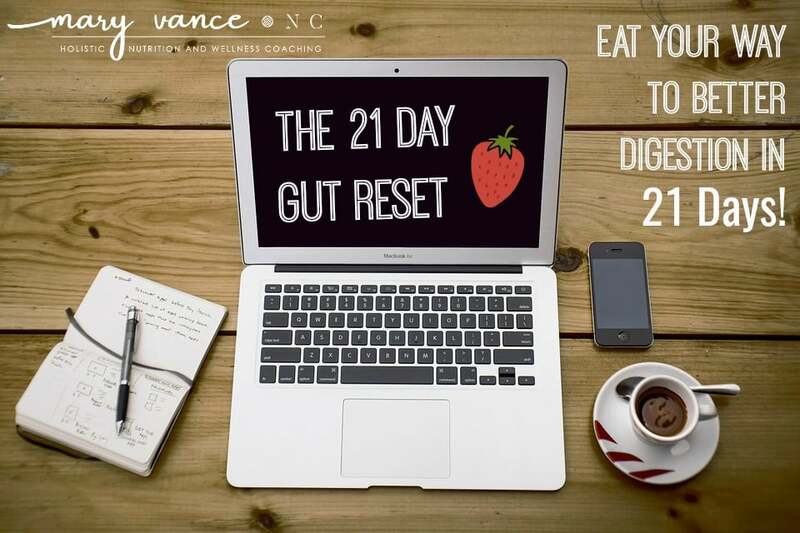 Focus on healing your gut and digestion. Take a good quality probiotic like Prescript Assist (but your probiotic will depend on your unique microbiome). 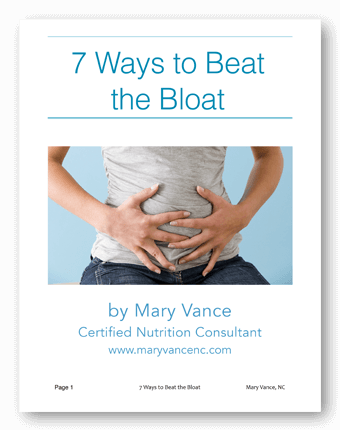 If your practitioner doesn’t mention anything about addressing gut health, run away! Support liver detox with cruciferous foods and good detox lifestyle tips. The thyroid is very susceptible to toxins! Click here for my ebook with guidelines to a simple liver detox. This is an excellent book about how to manage autoimmune conditions. Please educate your readers to understand that taking Armour thyroid hormones or other products which contain parts of animal thyroid cells might make symptoms worse (they did for me). Dr. Haskell (“Hope for Hashimotos” author) never uses them with his Hashimotos patients. It makes sense if you think about it — you are introducing more of what your body considers to be an enemy into your system (thyroid proteins) so it will cause your body to increase antibodies against itself. You need to use synthetic hormones instead. Thank you for your comment. I have never heard this theory and have doubts about the physiology behind it. It’s not actually thyroid proteins that attack the thyroid tissue in the case of autoimmune thyroiditis. The body’s immune system (t-cells, b cell antibodies) mounts an attack on thyroid tissue, but the thyroid proteins are not the enemy– it’s an overactive immune system that is misfiring (due to any number of reasons, usually gut-related) that causes the attack, destroying thyroid tissue. And it’s often a case of mistaken identity that causes the body to attack its own tissue. Some people don’t respond well to taking thyroid replacement hormone in the case of Hashimoto’s *if the immune system is also not supported* but not because more thyroid hormone is being introduced. Also with Hashimoto’s, fluctuations occur driving the condition into overdrive (flare-ups) and underfunction, so it’s possible that you are not reacting well if you are having a flare-up and are getting too much thyroid hormone. It is critical to address the cause that’s driving the immune misfiring, whether it’s a gut infection, food allergies causing leaky gut, gluten exposure, toxicity, etc. But it’s not the thyroid proteins that are the enemy here. Adjustments often need to be made in the early stages of Hashi’s because a person can fluctuate between hyper and hypo until the immune system is moderated. Thanks for every one of your efforts on this website. My daughter enjoys managing investigation and it is obvious why. We learn all about the dynamic form you produce priceless information via this blog and therefore increase participation from other ones about this subject plus my simple princess is studying a lot of things. Enjoy the rest of the new year. You’re performing a powerful job. Vitamin D3 should be combined with K2? Thank you! I was diagnosed with Hash several years ago and they just keep up’ing my Levo prescript. I do not seem to get any better with energy and I am sleeping 12 hours a day and am still tired. Brain fog is a huge issue too. I just began a gluten-free diet and two days in I already have more energy. This was just in an effort to feel better (stomach issues) but it seems it is so much more important. I saw an earlier comment about Armour Thyroid not being good for people diagnosed with Hashimoto’s. I am diagnosed with very severe Hashimoto’s, my TPO antibodies are 5000. At first they put me on levothyroxine, I then lost half of my hair, all my nails broke & would not grow, and I had brain fog so bad I stumbled over my words and could not finish a sentence. Was like having Alzheimer’s that you are aware of. After much research on my part( doctors do not understand this disease at all) I asked my doctor for Armour Thyroid. It saved my life. I cannot say enough about this med. No side effects. My hair & nails are back, better than ever. Brain fog gone. Thanks Mary…just diagnosed with Hashi’s, but most likely have had it for a long time as I recognize many symptoms throughout my past…just never knew why. Trying to figure out what I can do to boost my immune system and keep it in check.